17 December - Bucharest. Romania. The National Philharmonic. 16 December - Bucharest. Romania. The National Philharmonic. 8 December - Warsaw. Ostrogscy Castle. Solo concert as part of the 17th International Festival "Laboratory of Contemporary Music"
Symphony concert . The First "Wileński" Piano concerto by R. Twardowski. Symphony Concert. The First "Wileński" Piano concerto by R.Twardowski. Chamber concert . "Master and Disciple"
F.Chopin's compositions for piano and orchestra, accompanied by the Chamber Orchestra "Concerto Avenna"
Chamber Concert celebrating The Chopin Year and the 175th annniversary of H.Wieniawski's birth. 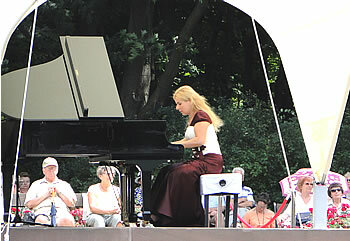 Chopin Recital as part of the festival "Chopin in Luxemburg Gardens"
17 June - Warsaw . The Royal Łazienki Park . The Palace on the Island . solo and chamber compositions by J.Elsner and F. Chopin accompanied by Prima Vista Quartet . 5 June - Warsaw . The Gallery of Artists-Photographers. 5 June - Warsaw . The Gallery of Artists-Photographers . Chamber Music Concert "Photographers' Music"
The Concert held as part of the project "200 concerts to mark Chopin's 200th birthday"
Solo and chamber compositions by J.Elsner and F.Chopin , accompanied by Józef Kolinek (violin). 27 May – Warsaw . The Royal Łazienki Park . The Palace on the Island. 22 May - Międzyzdroje. The International Cultural Centre . 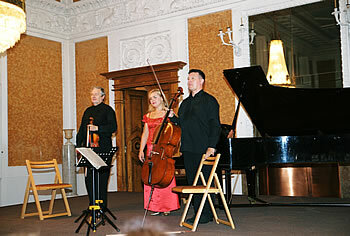 The concert held as part of The Third Amber Baltic International Music Festival. The concert held as part of regular Wednesday Concerts. Performance of the complete works of F.Chopin. F.Chopin's compositions for piano solo. 19 May - Warsaw. The Music Library Hall of Polish Music Publishers. 18 May – Warsaw. The Music Library Hall of Polish Music Publishers. 16 May - Warsaw. The Music Library Hall of Polish Music Publishers. 15 May - Warsaw. The Gallery of Artists-Photographers. 13 May - Warsaw. The Music Library Hall of Polish Music Publishers. 13 May - Warsaw . The Podchorążówka in the Royal Łazienki Park. The concert for ten pianos, performed by educators and students. The concert held as part of "Warsaw Music Meeting Festival"
The Concert Hall of The Royal Court Theatre. Recital. Solo compositions by F.Chopin and T.Tellefsen. 12 March - Hanoi. Vietnam. The Hanoi Opera House. 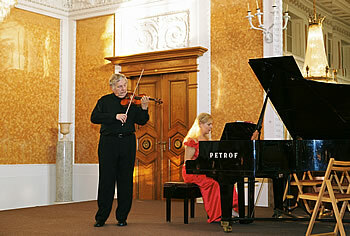 Chopin Recital held as part of the festival "In the Land of Chopin's Music"
The Concert Hall of the National Philharmonic. Solo compositions and songs by Fryderyk Chopin. 27 February - Nowy Dwór Mazowiecki. The concert held as part of the Festival. 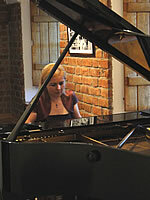 Chopin Recital inaugurating Piano Tournament. 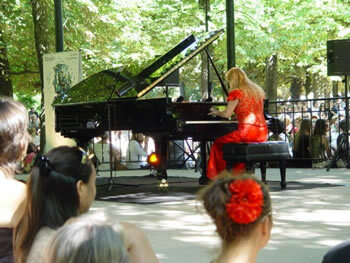 The Concert held to open the Piano Tutorials for teens . 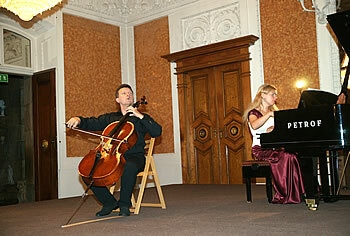 The concert held as part of the festival "Nordlys festivalen"
Fryderyk Chopin's solo compositions and songs. 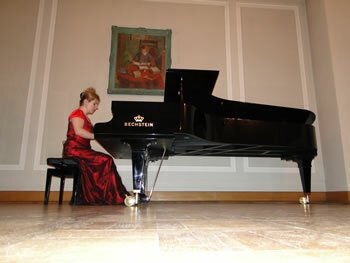 The concert for the opening of the Chopin Year in Norway, held as part of the festival "Nordlys festivalen"